offenders are quantifiably different from one- time arson offenders. In general these suppositions have remained implicit in the research, with few empirical investigations examining their veracity or otherwise against a sound theoretical model. The current project sought to establish how applicable these assumptions are in the Australian context. 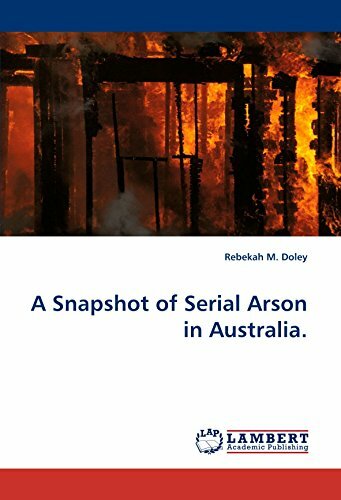 In the process a profile of Australian arsonists has been clarified and the concept that arsonists can be differentiated from each other and from other types of offender on the basis of certain personal characteristics and offence features was supported. This information has relevance to arson treatment, rehabilitation and crime prevention applications.